The Minister of Justice and Attorney General, Cllr. Frederick D. Cherue has cautioned the Liberian media to act as ambassadors of peace and not to spread hate messages through their mediums. Speaking over the weekend to judicial and local reporters in Gbarnga, Minister Cherue said media is so powerful that it can build up and tear down a system in no time, but by preaching non-violence, particularly during this electioneering period, will provide for a smooth sailing of the process. “You as press people have a cardinal role to play in maintaining the peace that we all enjoy, so we are depending on you to continuously preach the message of non-violence,” he stressed. Cllr. 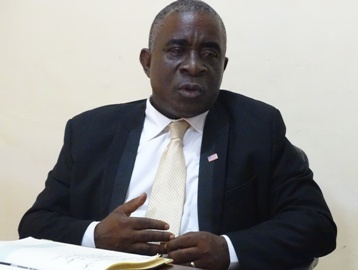 Cherue further quested the Liberia Media to be peaceful during the elections and instructed that security officers grant all parties in the ensuing 2017 elections equal access to all public facilities. The Minister said, "Unless given equal access, parties could feel cheated because they were not given access to a public building". In a related development, the Justice Minister is calling for the Judiciary to deploy the probation services mechanism, which he describes as being good but needs to be revisited to meet international standards. He urged probation officers to go beyond the usual call of duty to know family members, their homes and living place of those persons placed on probation and access their family records, behavioral in community before placing them on probation.